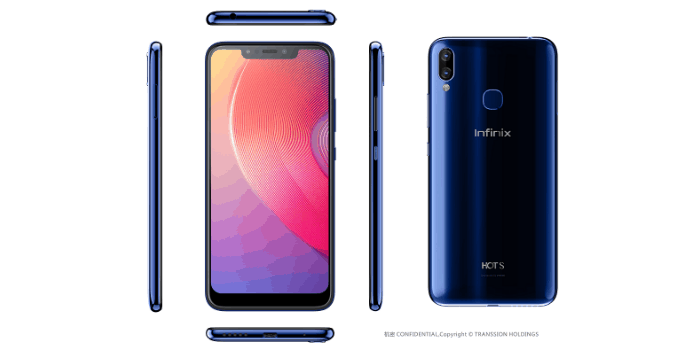 Enthralled by the success of “HOT S3” launched in the beginning of this year, Infinix has added another marvel to their “selfie-centric” HOT S series in the mid-budget segment – HOT S3X”. The newly launched smartphone will be available exclusively on Flipkart with the “Big Diwali Sale” starting from 1st Nov until 5th Nov’18 in three beautiful colours Ice Blue, Sandstone Black and Tradewinds Gray. Infinix is known for its ahead of the curve approach towards making future-ready devices and empowers users with the best smartphone experience at the most competitive price-points. Underpinning its key USP of HOT S series, the S3X combines AI enabled advanced selfie camera technologies with massive battery and an aesthetic form. Endowed with superlative 16MP AI selfie camera, HOT S3x will mark company’s entry into bandwagon of notch display. Unlike its predecessor, HOT S3X features a 6.2” HD+ display with 19:9 aspect ratio with a notch, 13MP+2MP Dual AI Rear Camera and massive 4000mAh battery. If selfies tickle your fancy, this is surely your gadget to go by. HOT S3x comes with 16MP AI selfie camera which captures stunning selfies even in low light with f/2.0 aperture, front flash and 4-in-1 big pixels. Its 4-in-1 pixel technology merges 4 pixels into one pixel, which helps in capturing more light for better quality selfies, no matter what kind of scenes and light conditions you are in. Furthermore, the device comes with AI beauty algorithm that scans up to 255 facial points to create a more detailed and beautiful selfie. It also comes with AI Bokeh mode that blurs the background to make the subject stand out. S3X comes with a dual rear set-up integration of 13MP f2.0 primary camera & 2MP secondary camera to bring depth in your photography. With Phase detection auto focus and Dual LED softlight, it let your beauty shine through even in the dark. Its AI portrait mode measures pixel by pixel, identifies subject & bring it in the foreground and blurs everything else. With AI Auto Scene Detection (ASD) based on deep learning algorithm, it detects the all type of light conditions and automatically adjusts the brightness and contrast ratio to ensure that you get the best image output in any outdoor environment. Streaming video is a delightful experience on Infinix HOT S3x, with its 6.2-inch screen and 19:9 Notch display. Enriched with a HD+ resolution of 1500*720 pixels, 500 Nits brightness and86% screen to body ratio, it gives more screen space that allows users to see more. In landscape mode, watching movies, TV shows, and games becomes much more engaging. In short, multi-task like a pro, even on-the-go! S3x carries a premium stylish design with optimized body arc curvature, fluidic design at corners and a mirror glass finish at back, which makes it a perfect device to flaunt. The InCell and preciously carved 2.5D glass accommodate each other well enough to give HOT S3x a much sophisticated monolithic feel. The smartphone is light weighted at just 150 gms and its perfect for one hand operation. S3x is available in 3 amazing colours – Ice Blue, Sandstone Black and Tradewinds Gray. Equipped with a Qualcomm Snapdragon 430, 64 bit Octa-core processor and Adreno 505 GPU, HOT S3x is snappy and runs efficiently without any lag. The smartphone comes with 3GB RAM and 32GB storage which lets you reap the benefits of multi-tasking on the immersive 6.2” HD+ screen. It also comes with 3-in-1 multi card slot where you can put Dual nano SIM along with a dedicated microSD card. Moreover, the superfast fingerprint sensor and advanced integrated Face Unlock to enhance security of your smartphone which unlocks the phone in just 0.3 seconds. It also offers a smooth and faster software experience with XOS 3.3 powered by latest Android Oreo 8.1 operating system. Multi Card Slot 3 Slots (Dual nano SIM + Micro SD). Infinix unveils “HOT S3X”: First AI-selfie smartphone with notch display 0 out of 5 based on 0 ratings. 0 user reviews.